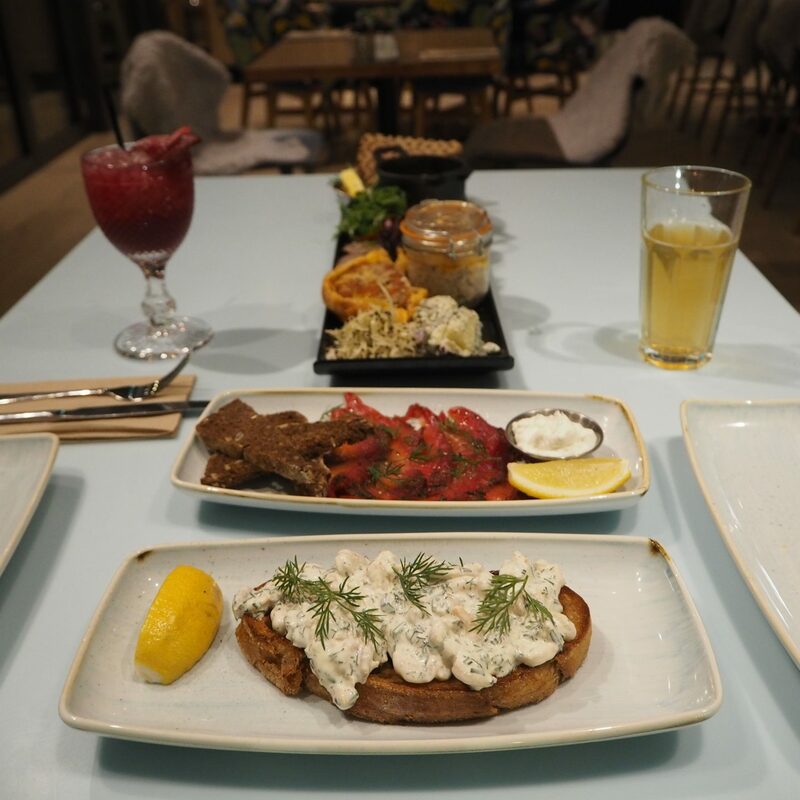 So far, we haven’t reviewed anywhere to go for dinner in Oxford and I thought it was fitting to review the new KuPP restaurant in the Westgate Shopping Centre, situated next to John Lewis. KuPP is really interesting because we have not had anything like this come to Oxford before in terms of a restaurant that focuses on pure quality Scandinavian cuisine. As you can see from the decor and layout, it has a clean, quirky yet modern feel and the atmosphere compliments this accordingly. You can access the restaurant from two places; take the lift from the ground floor just to the left of John Lewis and also from the top floor of inside John Lewis. One mistake which people frequently make is that they assume KuPP is an extension of John Lewis, for example a new restaurant that they have opened. KuPP have been operating for approximately two years and I understand this to be their fourth restaurant with others in London (Paddington), Exeter, Southampton and most recently Oxford. This is a new beginning for KuPP because they have partnered with John Lewis but as I mentioned before are a completely separate organisation. If this venture is successful we could see KuPP’s popping up all over the country alongside John Lewis stores! 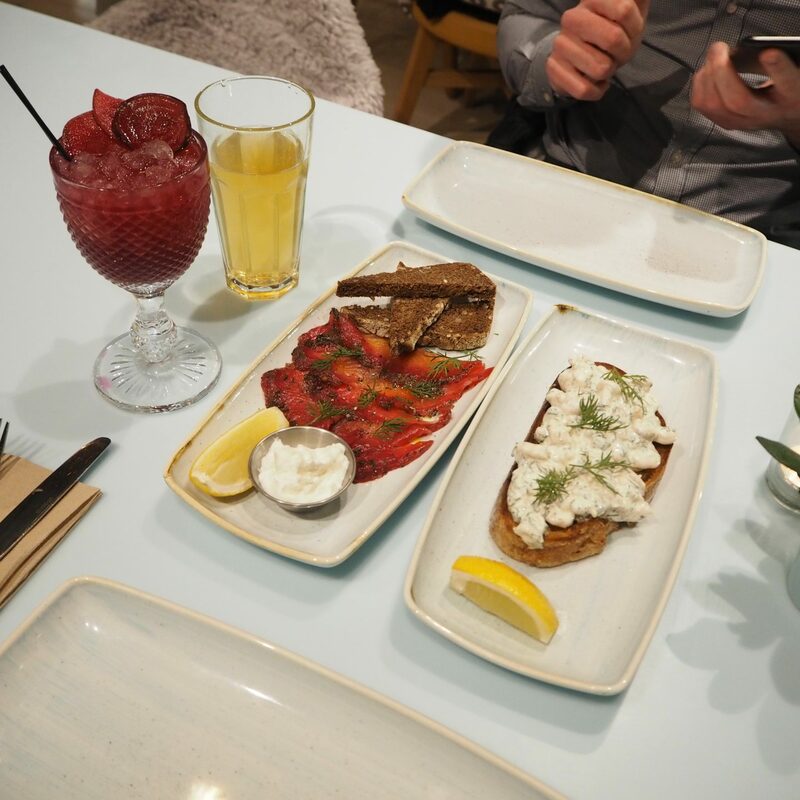 The aim of KuPP as a restaurant is to bring all day casual dining with a particular focus on sharing foods and cultivating social and family experiences, brought from their love of the Scandinavian culture. If I had to sum up what KuPP is about in a few words I would say; Urban, modern, social, clean and serves hearty foods. Nordic Skagen Prawns on Pan Fried Sourdough (with soured cream, herbs and lemon). Beetroot Stained Gravadlax (Beetroot cured Norwegian salmon, lemon & Maldon sea salt). KuPP. Bord from their Smörgasbords (House smoked pork meatballs, potted rabbit, chorizo sausage roll, carpaccio of hot smoked vennison Vasterbotten cheese, potato salad, picked vegetables spidskal [scandanavian slaw], mustard mayo, crispbread and toasted sourdough). Lingonberry Mess (Scandi berries, meringue and cream). Quite a lot of food to take in one sitting, so we were there for a good three hours! One of our favourite parts was definitely the chorizo sausage roll. This is so simple but was very tasty and have never heard of anything like it before. The quality of food at KuPP was outstanding from the potato salad right through to the Lingonberry Mess (a really nice Scandinavian equivalent to an Eton Mess) and we would highly recommend paying a visit if you are in the mood to try something different. 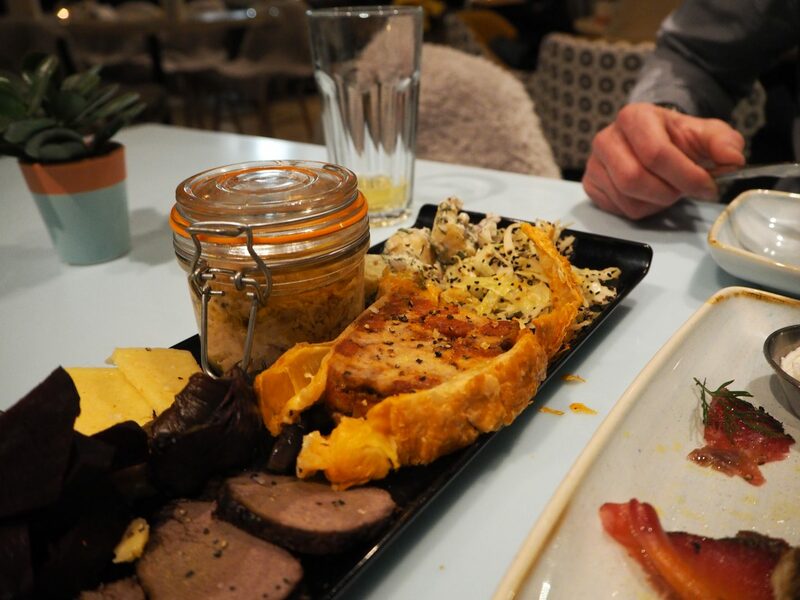 If you are out with friends, family or colleagues and want to try something that can be enjoyed over a long conversation then KuPP is a great place for this. Our entire meal came to approximately just over £30 a head but this included drinks, starters, mains and desserts and we were there for a long time and left feeling very full and satisfied. The customer service is excellent with staff clearly explaining what you have ordered as well as sharing any of their personal recommendations. They have one of the best spots in Oxford with a south facing open terrace, this place will be a winner in the spring/summer too which should give them some time to build a presence in Oxford. I’d go before it becomes too overcrowded. Overall I would give KuPP an 8/10 for dinner and will be sure to visit again! Previous Post Franco Manca Oxford – is it worth the hype?